The Insignia is classier, more desirable and quality is impressive compared to rivals. The Insignia looks great, has a nicely trimmed cabin and offers premium-car features, such as adaptive damping, nine-pattern automatic headlamp beam adjustment and speed limit recognition and display. Ultimately, it's more about motorway comfort and stability. Many options from petrol to diesel engines, manual or automatic transmission. Which Vauxhall Insignia are your going to lease today? We offer top quality Vauxhall Insignia from brand new, nearly new, slightly used or ex demo, whether you have good or poor credit rating, pay a low or no deposit. These Vauxhall Insignia can be leased or financed and come with a warranty, HPI checked and when contract hire leasing, include UK nationwide delivery and AA or RAC Roadside Assistance cover for peace of mind. 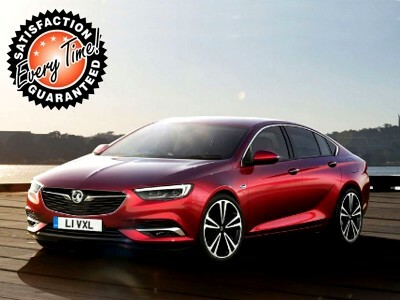 Time4Leasing can offer you the latest Vauxhall Insignia lease deals at lower prices because these vehicles are exclusive and offered at lower rates to customers that have good, poor or even bad credit history score ratings. Speccing your Insignia could take some time because there are dozens of versions to choose from. Do not worry, that is why we are here to help you by offering you the best models and deals. The trim levels include ES, Exclusiv, SRi, SE and Elite, but we would recommend the SRi which gives you lots of kit for a reasonable price. There are also nine engine options, including some low-CO2 Ecoflex units that make sense if you’re a company car driver. Vauxhall even offers four-wheel-drive models, although these are hideously expensive. The Insignia looks great, has a nicely trimmed cabin and offers premium-car features, such as adaptive damping, nine-pattern automatic headlamp beam adjustment and speed limit recognition and display. Ultimately, though, it's more about motorway comfort and stability than country-lane precision. If you like something bigger and cheaper, we recommend the Ford Mondeo. However, the Insignia comes with lifetime warranty and you can drive up to 100,000 miles before the warranty runs out. This makes leasing a used or newly new Insignia a great option, as if you do not drive more than 25,000 miles a year over a 4 year lease period this gives you a hassle free motoring experience. All you got to worry about is putting fuel in the car and change the oil and filters once a year. Tyres do come at an extra cost, but it is good to know that if you drive sensibly you can make the tyres go a long way and possibly make them last for a few years. There are 79 Vauxhall Insignia Lease Deals on Offer.